Since rebounding and regrouping at the turn of the century, James Christian and House Of Lords have been consistently releasing albums since 2004's The Power And The Myth. The band returns with their eleventh album, Saint Of Lost Souls, once more on the Frontiers Music label. Listening to a new House Of Lords album is like opening a box of Cracker Jacks. You know exactly what you're going to get. House Of Lords continues to play straight up classic AOR melodic hard rock. Obviously led by Christian's vocal talents, you also get the usual musical subjects in the song composition. There's an abundance of tasty melodies, vocal and guitar harmonies, brisk riffage that lead to soaring solos, a touch of keyboards, and smooth beat and groove from a tight rhythm section. The song selection is varied, but hardly eclectic, the aforementioned elements work into the same formula. You get heavier rockers with Grains Of Sand, Saint Of Lost Souls, New Day Breakin', Concussion, and the swift riff driven The Other Option. Within songs such as Harlequin and Oceans Divide you'll find a larger flourish of bright keyboards. Leaning more towards the smoother AOR side of things look to Hit The Wall and Art Of Letting Go, both with rich vocal harmonies. 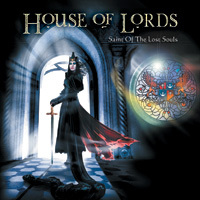 Suffice to say, Saint Of Lost Souls is signature House Of Lords: spot on AOR melodic hard rock in the best entertaining tradition. Recommended. 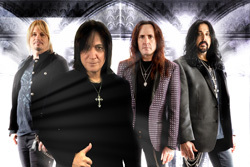 Suffice to say, Saint Of Lost Souls is signature House Of Lords: spot on AOR melodic hard rock in the best entertaining tradition. Recommended.